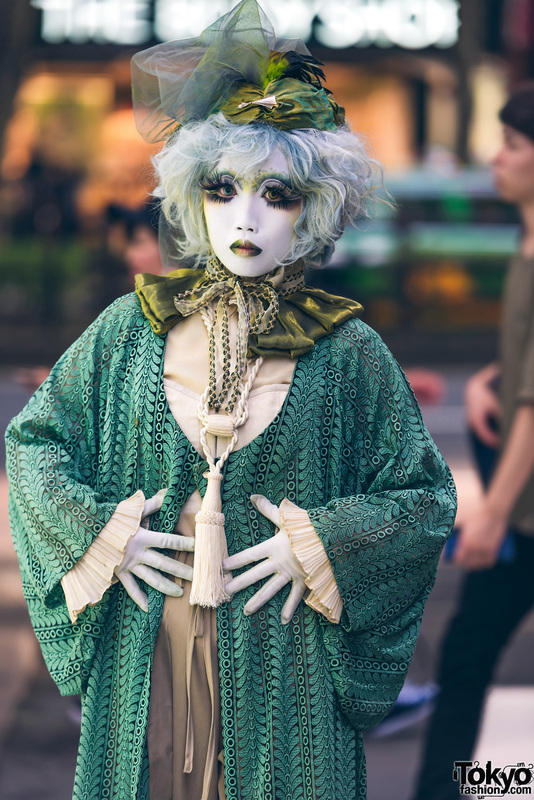 While walking on the Harajuku street at night, our attention was caught by Minori, a popular Japanese Shironuri artist. 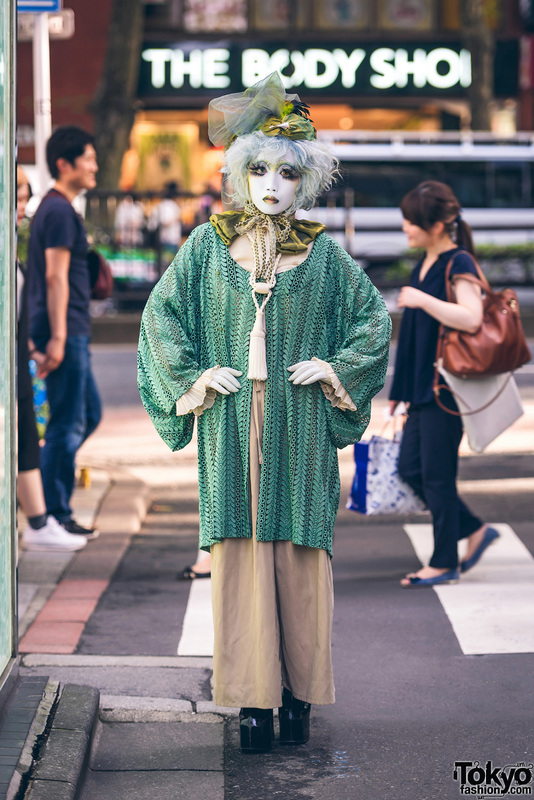 She’s sporting white shironuri face makeup and a green vintage street style. 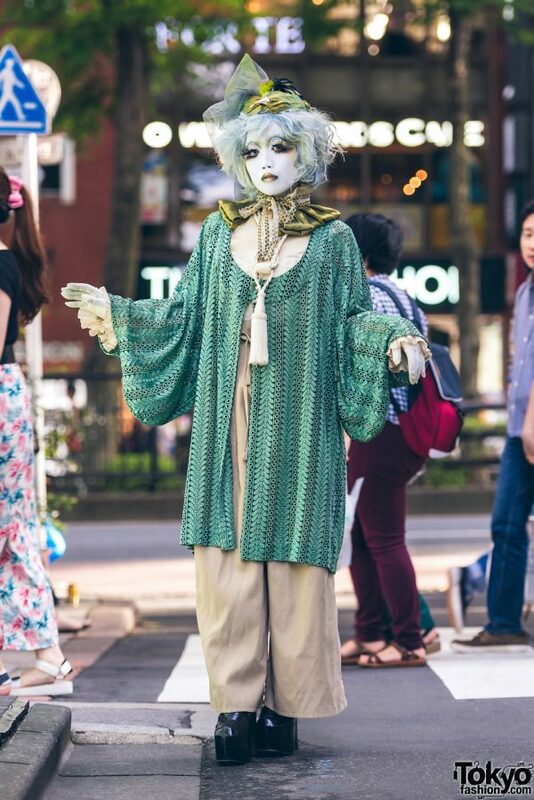 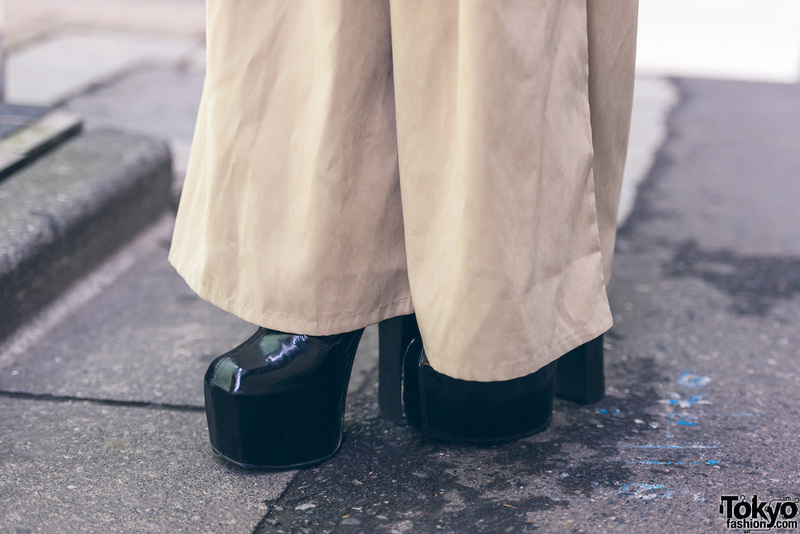 Minori’s ensemble consists of vintage and handmade/remake items such as a green kimono coat over a tan ruffle shirt, tan drawstring pants, and black platform shoes. 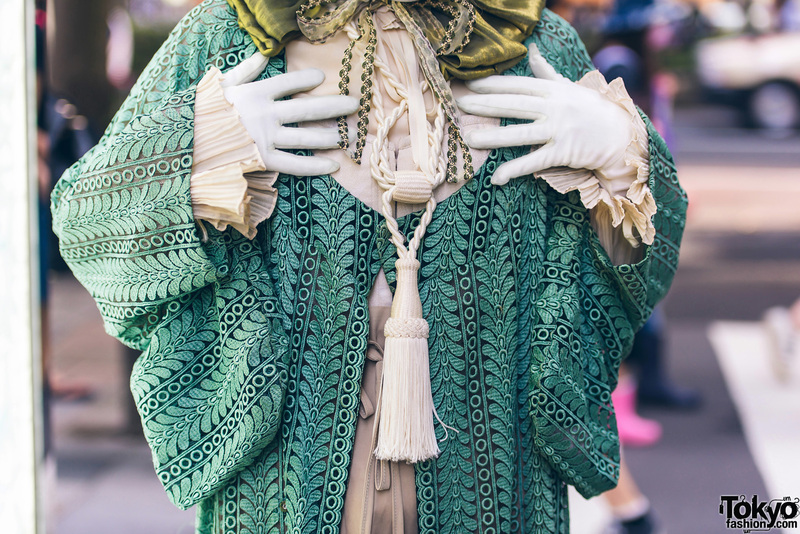 Her accessories include a feather hair ornament, white gloves, and a bow and ribbon collar with tassel rope necklace. 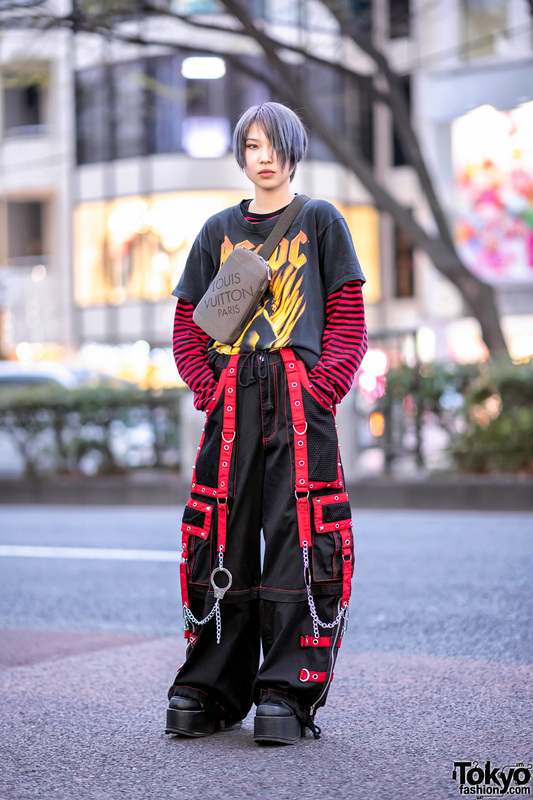 For more of Minori’s artistic fashion and other social media updates, follow her on Twitter and Instagram.